SECOND place at the end of UAAP Season 79’s first round of eliminations is good enough for Far Eastern University coach Nash Racela, considering the plight of the Tamaraws after their title conquest last year. The Tamaraws ended the first round with a bang, beating National University, 78-75, to claim win number five in a season where doubts on their ability to defend the crown linger, with some doubters even coming from the FEU camp. “To tell you honestly, even some people from our camp, hindi rin kami tinitingnan na magko-contend this year,” said Racela. For the champion coach, however, finishing second halfway through the tournament is already a big accomplishment to the team. “I’m happy for the players that they were up to the challenge. Siguro nung narinig nila ‘yun, all the more they need to work doubly hard para mas ma-achieve namin ‘yung goal namin,” said Racela. Despite the graduation of FEU stars Mac Belo, Mike Tolomia, and RR Pogoy, several Tamaraws have picked up the slack for the team. Monbert Arong is leading the Tamaraws’ balanced attack, averaging 11.3 points including a season-high 20 points against NU on Wednesday. Team captain Raymar Jose, who posted a double-double of 10.1 points and 10.7 rebounds for the Tamaraws, has also stepped up his game. 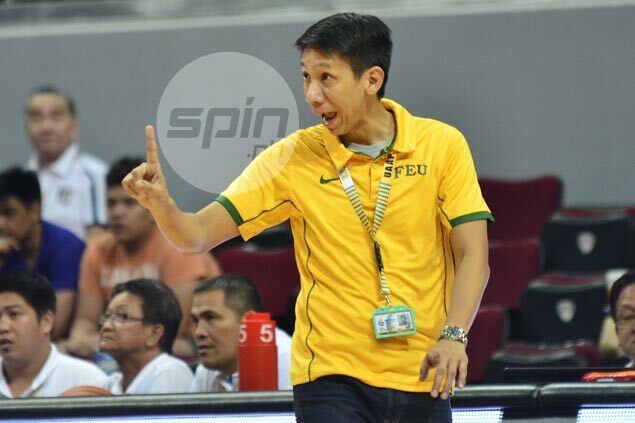 But despite calling it an accomplishment, Racela warned his wards against complacency, especially aware of his experience during his rookie year as Tamaraws coach. “I remember during my first year with FEU, we were 7-0 in the first round, then sumabog kami nung second round and we didn’t end up winning the tournament. It’s behind us now, ‘yung first seven games namin,” said Racela.